Lighting Global provides guidance on procuring off-grid lighting and energy products. Lighting Global supports the off-grid lighting market, amongst other things, through testing and verifying off-grid lighting products against the Lighting Global Quality Standards. Lighting Global does not sell products directly; instead, we guide and facilitate sales. Lighting Global provides broad support to the market through the internationally-recognized quality assurance program, technical and environmental sustainability research relating to off-grid lighting, and information dissemination through information dissemination, webinars and conferences. The region-specific programs, such as Lighting Africa and Lighting Asia, operate to catalyze and accelerate the development of sustainable markets for good-quality, affordable off-grid lighting products in specific countries. Distributors and importers of off-grid solar lighting and energy products are key to ensuring that products make it to the last mile. 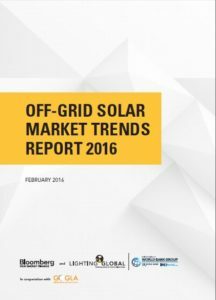 The off-grid solar sector has seen impressive growth in the past five years. 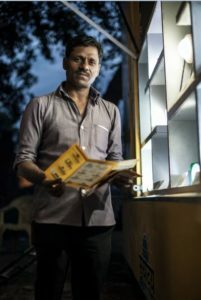 From a near-standing start less than ten years ago, more than 100 companies are now actively focusing on producing stand-alone solar lanterns and solar home system kits targeted at those without modern energy access. Within this context, the market is poised for growth and distributors may leverage this growth. When choosing products, distributors and importers should consider the product quality and aftersales services, warranty, durability, battery type, lighting performance, phone charging capability, ease of use, product and packaging size, product distributor, and the potential for product theft. They should also be aware of any import conditions. More and more countries in Africa will only allow quality assured off-grid lighting and energy products to be imported, whereby the product’s verification sheet is examined on this website by customs officials at the point of import. If you are a distributor or importer of products into Africa and Asia and would like to know which quality assured product to procure, please have a look at Products to inform your decision making. Associate companies profiles can be found here. If you are interested in any Lighting Global and related country program activities that may be relevant to you in your country, please contact us at info@lightingglobal.org. Many companies that Lighting Global and related country programs have engaged with have decided to become Associate companies. To find out more about the benefits of becoming an Associate, see Get Our Services. Associates are eligible to receive business development support through regional lighting programs, such as Lighting Africa or Lighting and related country programs. Each of these programs will offer different services and services may vary by individual country as well. Support may include help with entry into new markets, access to financing, business advising, assistance with finding distribution partners and B2B matchmaking. Institutional and Aid organizations are responsible for procuring large quantities of off-grid lighting products and have a considerable influence on the off-grid lighting market. As users of these bulk procured products generally do not have the option to select the products purchased on their behalf, it is particularly important for aid organizations to ensure that they choose high quality products that meet the needs of their program beneficiaries. Procuring quality products also helps to develop a common expectation for quality from manufacturers in the off-grid lighting market. Many bulk buyers of off-grid lighting products (development agencies like GIZ, large distributors like Total, etc.) rely on Lighting Global quality assurance verification as a prerequisite for making purchase decisions. Institutional Aid organizations can ensure that they are sourcing quality off-grid lighting products by procuring Lighting Global quality-verified products. Aid organizations should also consider the product durability, battery type, lighting performance, phone charging capability, ease of use, product and packaging size, product distributor, and the potential for product theft. Aid organizations are encouraged to be informed of quality assurance for off-grid lighting and energy products to advise product suppliers on their decision to only purchase quality-verified products, which are listed on the Products page of our website. These aspects and more are covered in detail in the Lighting Global Tech Note Issue 20. 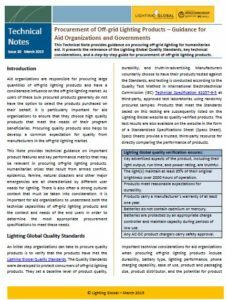 The Tech Note provides technical guidance on important product features and key performance metrics that may be relevant in procuring off-grid lighting products. Humanitarian crises that result from armed conflict, epidemics, famine, natural disasters and other major emergencies are all characterized by different user needs for lighting. There is also often a strong cultural context that must be taken into consideration. It is important for aid organizations to understand both the technical capabilities of off-grid lighting products and the context and needs of the end users in order to determine the most appropriate procurement specifications to meet these needs.The Tech Note also contains template procurement specification options, which may be useful for institutional buyers.